In 2012, U.S. crude production averaged approximately 6,497 thousand barrels per day, reaching levels not seen since the mid-1990’s. Domestic crude production had not exceeded 6,000 thousand barrels per day since 1998. 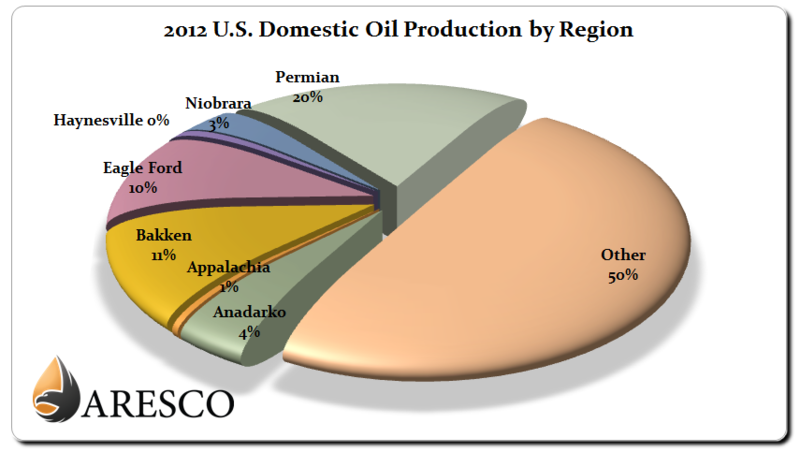 Seven major areas accounted for 50% of crude production for the year, led by the Permian Basin, Bakken and Eagle Ford respectively as shown in the chart above.